Click here to view the results of the last meeting. Click here to view the results of all race meetings. 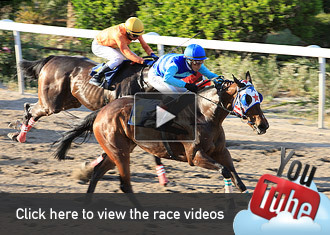 Click here to view the race videos. Click here to compare horses based on their previous participations. The Nicosia Race Club is the only organisation in Cyprus authorised to organise horse races in Cyprus and accept pari-mutuel bets on them. Horseracing was revived in Cyprus from the end of the 19th century. Click here to view all authorised agents. Get the race results & other information on your mobile phone now. Β© Nicosia Race Club. All rights reserved. Designed by Dot.Cy | Developed by SkillSoft Ltd.